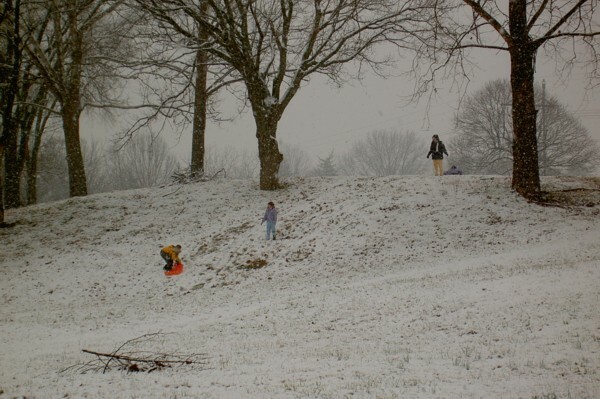 The city of Springdale has made a small park with a welcome sign where a filling station once was at the corner of Emma Avenue and State Highway 71. 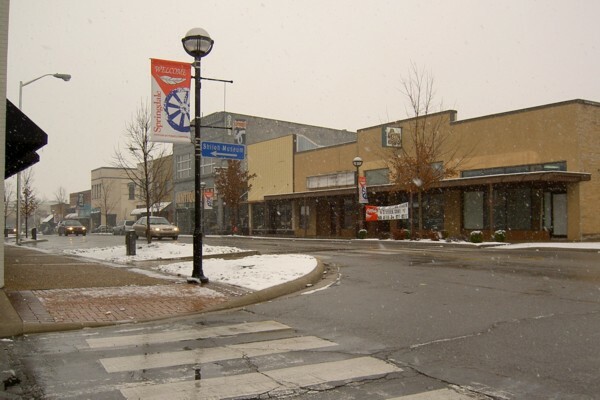 These are the two main streets of Springdale. SH 71 has now been bypassed by I540 west of town but the traffic on SH 71 seems to be as heavy as ever. 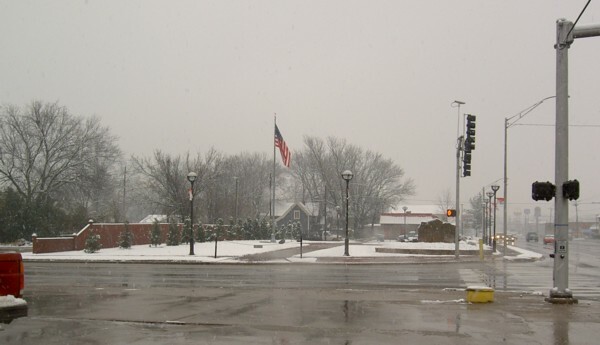 Beautification projects have improved the looks of downtown along Emma Avenue. 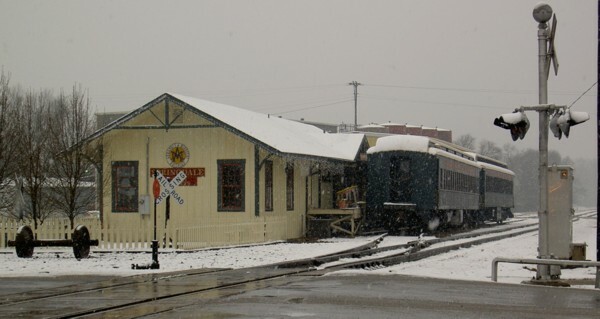 The old depot looks good in the snow. 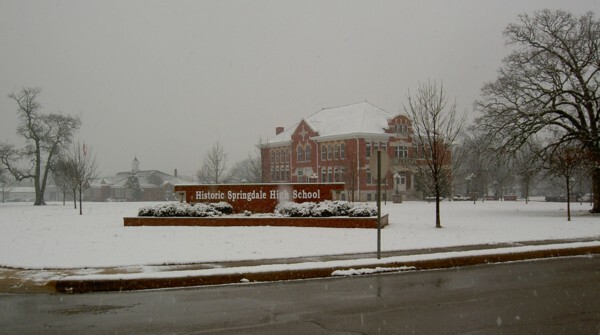 The old Springdale High School is being preserved as a historic building. 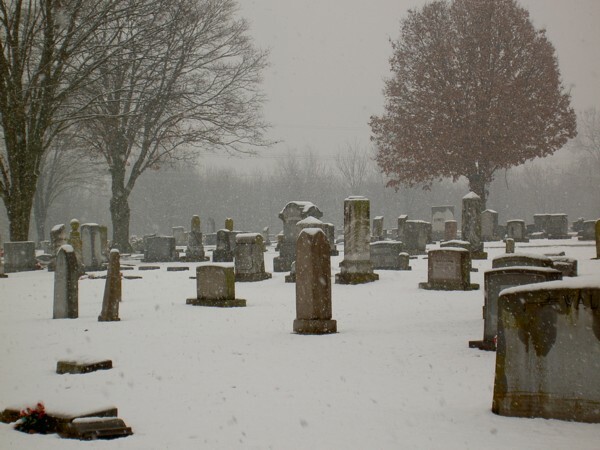 ... the living enjoy some winter fun. 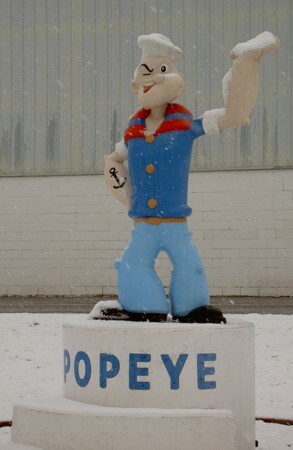 Greeting all who pass through Springdale on SH 71, Popeye stands and waves a snowy hand today. Popeye spinach and other vegetables were once processed here. 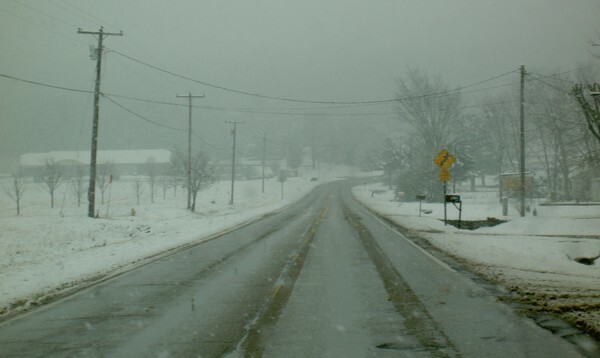 Emma Avenue becomes a little country lane east of Springdale, swings around a small hill and then turns south. 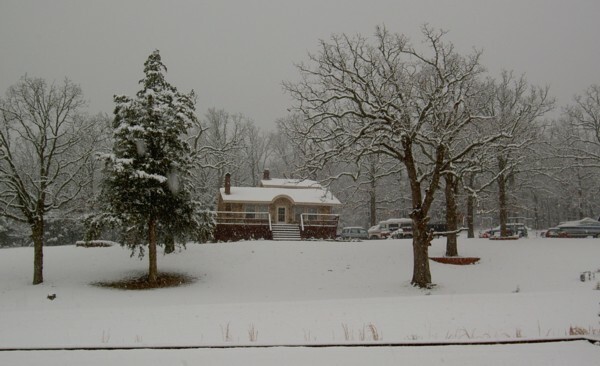 A picturesque residential scene on the south side of the little hill. Back at the house. The inlaws have retired to a small gated community of "manufactured" homes. My car is warming in the driveway. 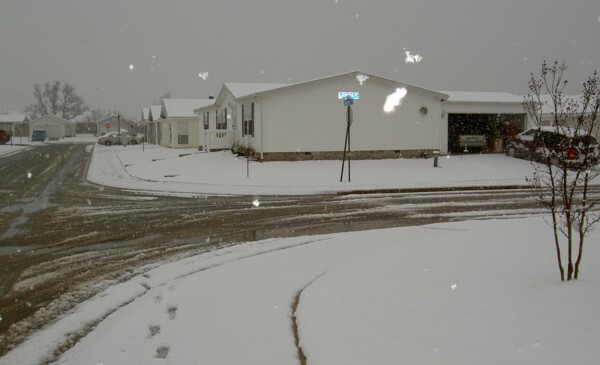 The camera flash highlights the large flakes of snow and the street sign.